Noboru Ishiguro was born in Tokyo, Japan on August 24, 1938. He was in a hawaiian style music band in his youth. Therefore, he is known as an animation director who can actually read musical scores and has made the best use of his previous experience for works such as Macross: Do You Remember Love and Legend of the Galactic Heroes. 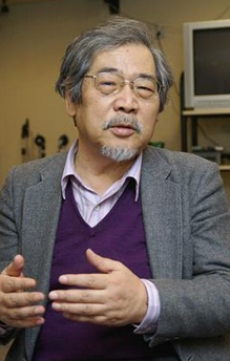 He entered Nihon University in the Department of Art and graduated 1964. He later joined Onishi Pro where he first worked as key animator on subcontracted Astro Boy episodes. In 1978 he founded the animation studio Artland and has since been serving as president as well as head director for most productions the studio was involved in. He passed away on March 20, 2012.